The first (and last) time I travelled alone to Paris, I was more than a decade younger and a thousand years less tired. I’d plotted out my first days of pre-conference playtime in 15 minute intervals, determined to see every single thing in case I never returned. As it transpired, I returned again and again over the following years. A Christmas lunch on a bateau on the Seine with my family; a romp down the Champs Elysees at midnight with some work friends, giggling like school girls; a glorious long springtime weekend with my son, just hanging out in the Jardin du Luxembourg. But now I’m back here alone, having caught the same flight and arriving at the same ungodly hour as all those years ago. This time, though, I arrived footsore and heart-heavy, vulnerable and impatient. 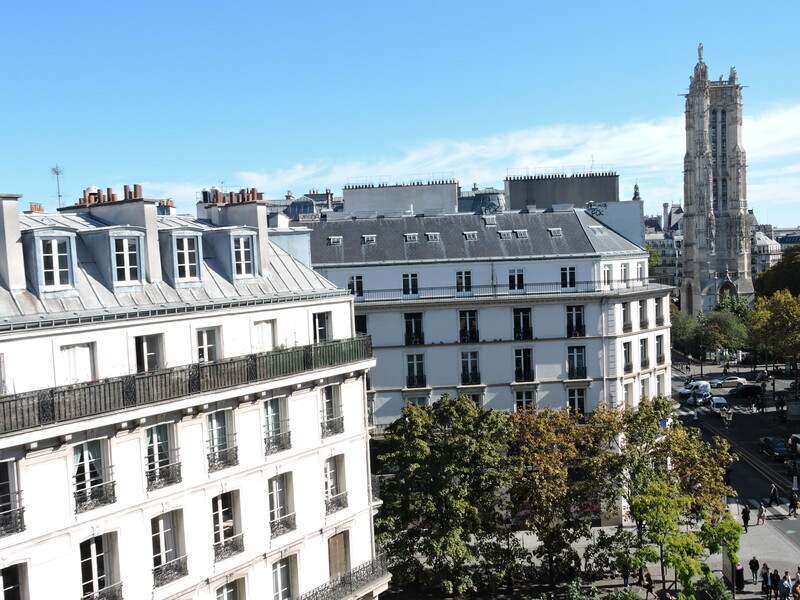 By the time I checked into my apartment (on the beautiful rue de Rivoli – thank you, AirBNB! ), I’d been travelling more than 37 hours. In the same clothes. In the same shoes. In the same stressed-out headspace. This time I didn’t throw my bags on the bed and rush back down onto the street to explore. This time, it was enough to sag into a chair in the streetside cafe below my apartment, order a vin rose and some lunch, and watch the traffic roar past; the impromptu friendships renewed in the middle of the intersection; the crow high on a balcony turning age-creamed walls into art deco cliche. It was enough, just to sit, just to be. Just to be in Paris. And just like that, the magic was back. I need to rest now, but I can’t wait for tomorrow. But I promised you pictures, so here are two. The one at the top is my neighbourhood for the next little while, taken from the salon where I’ll be working. 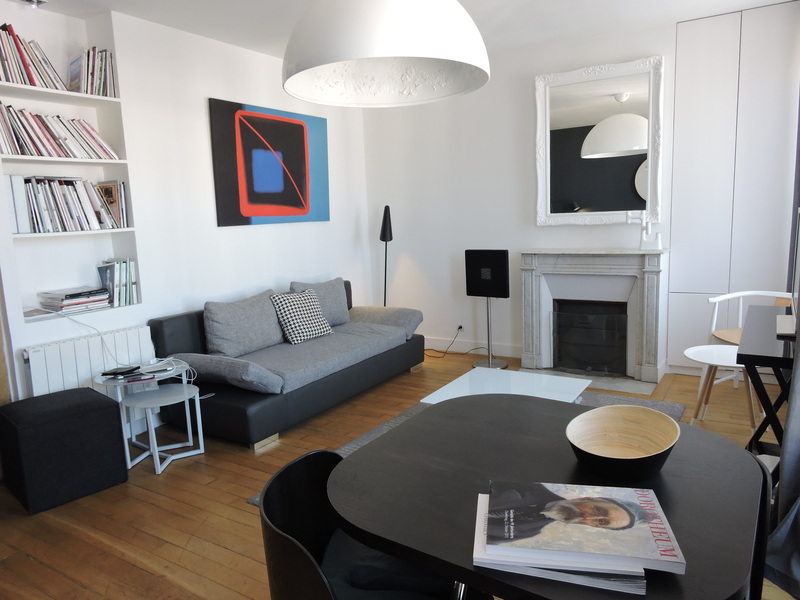 And this one on the left is my little Paris apartment – light, bright, high enough for the street noise to be charming, and with a view to inspire all sorts of dreaming and wordsmithing.